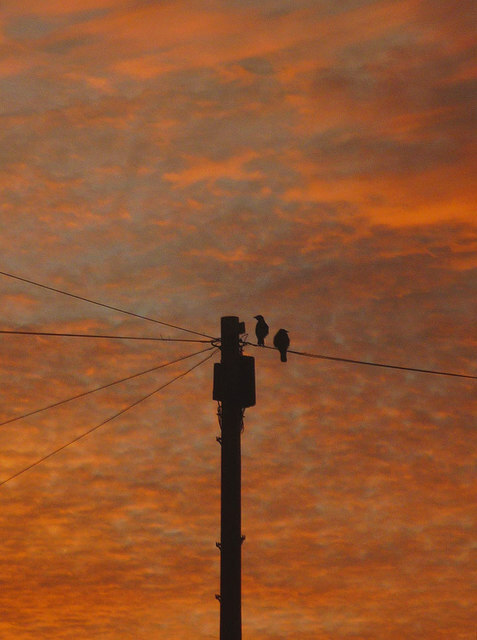 Two jackdaws watch a vivid dawn sky from their grandstand perch on a telephone wire. © Copyright Karl and Ali and licensed for reuse under this Creative Commons Licence. This page has been viewed about 25 times.